Paula Scott has a background in journalism. She works on her family's farm, writes historical and contemporary fiction, and blogs about life, love, and farming at psbicknell.com. When establishing a story, don’t use similar names, sounds, or starting letters for your characters. Example: Tom and Ted. Mary and Marion. Don’t confuse your readers. Make it easy for your readers to tell your characters apart. Can you describe your characters? If someone asked you today to shop for your character, buy them clothing, something for the house, and their favorite dinner, could you? What would they never do, and what would they always do? If you gave your character a million dollars how would they spend the money? If you took away everything they had, what would be their reaction? If you put your character in flip-flops in a formal setting, how would they react? Fill out charts that describe your characters in-depth. How they look, where they were raised, their likes and dislikes. Describe them physically, emotionally, and spiritually. Know your characters goals, motivations, and conflicts. What drives them? What makes them act the way they do? What secrets lurk in their brains? Pull up a chair and talk with them. Get to know them as if they were real. I’ve gone shopping and caught myself looking at clothing thinking how cute one of my characters would look in an outfit. The more real your characters are to you, the more real they become to your reader. Let your characters go out to play. Take them on a scene you hadn’t planned. Take your ultra-male character shopping in a dress boutique. Take your frilly female character to a sporting goods store. Take them out for fun and see what happens. Put them in a totally different place than you had intended. Your characters might surprise you. “These are the words of him who is holy and true … What he opens no one can shut, and what he shuts no one can open” (Revelation 3:7). You only have a short amount of time on this earth. But as long as your heart is leaning into God, He can fast track anything. His Word says that He can open doors that no man can shut – promotion does not come from the north, south, east or west; it comes from God. And if God wants to set you somewhere at a specific time and place, He’ll do it. Today, you need to know that if God has marketed you, you don’t need to be marketed by man. You don’t need to come up with the greatest marketing campaign, because you’ve got the God of the universe on your side. He’s got the best GPS, and He knows where to find you when He wants to elevate you and put you in a specific place. Choose to trust in Him alone, and you will end up in the perfect place at the perfect time! 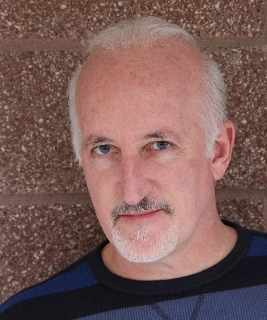 James L. Rubart has a B.A. in broadcast journalism from the University of Washington and spent his early career working both on-air and in radio sales. For more than 20 years he has also owned and operated his own marketing company. 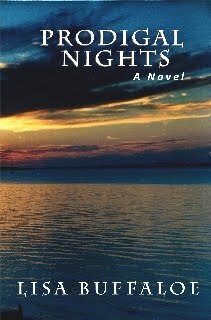 Ever since he was a little boy, Rubart dreamed of writing novels but didn’t begin his journey as an author until 2002. Since then, he has become a bestselling and Christy award-winning author of seven novels, including Rooms, Soul’s Gate and his most recent, The Five Times I Met Myself. Rubart is also a professional speaker. Rubart says he feels like a 28-year-old trapped in an older man’s body and still thinks he’s young enough to water ski like a madman and dirt bike with his two grown sons. Rubart has spent his whole life in the Pacific Northwest and now lives with his amazing wife on a small lake in eastern Washington. 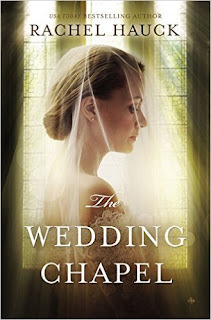 Hauck’s The Wedding Chapel (Zondervan/November 17, 2015/ISBN: 9780310341529/ $15.99), a slip time story set in the late 1940s/early 1950s, captures the romance and hope of a post-war South while the contemporary timeline wrestles with the challenges and complications of commitment in the modern world. 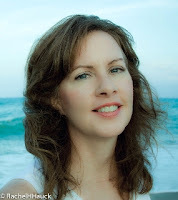 Hauck lives in central Florida with her husbandwhere she writes from her two-story tower.